Hard floors are resistant and can be used many years without any signs of wear and tear if they are properly maintained. If you need help with the cleaning and upkeep of your vinyl, ceramic, tiled and other hard floors use our services. We offer excellent hard floor cleaning and polishing in SW7 Kensington to homeowners and holders of business properties. It ensures removal of limescale, mould, dust and grime from tiles, slates, grout and other hard floor surfaces. Our technicians are trained, skilled and know how to work with rotary, buffing and polishing machines. Our staff check the condition and type of floor to choose the proper cleaning solutions and detergents for it. They can sanitise vinyl, marble, stone, tiled, ceramic and other hard floors. If it is necessary our technicians mop or wash the dirty floor before using machines. They apply suitable cleaning product and utilize high-speed rotary machine which have brushes that reach grout and tiles and remove limescale, mould and dirt. 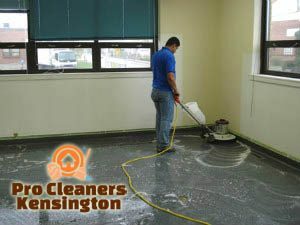 Our hard floor cleaning and polishing services are provided in Kensington to owners of commercial and domestic estates. After cleaning the floor our staff use special polishing machines and sealants to make the floor more resistant and lustrous. Our technicians utilize low-speed machines which apply sealants over the tiles, slates and natural stone. 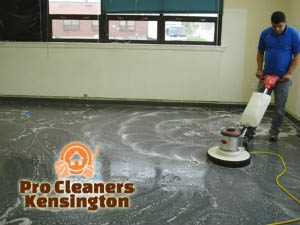 This way the hard floor is more durable, rid of the scratches, stubborn stains and other defects. Get in touch with our call centre to schedule the hard floor cleaning and polishing we offer in SW7 London and you will have perfectly looking floors. To remove scratches and stubborn grime out of hard floors our technicians use special buffing machines. After cleaning and polishing the floor, our staff mop and remove the dust from the area.